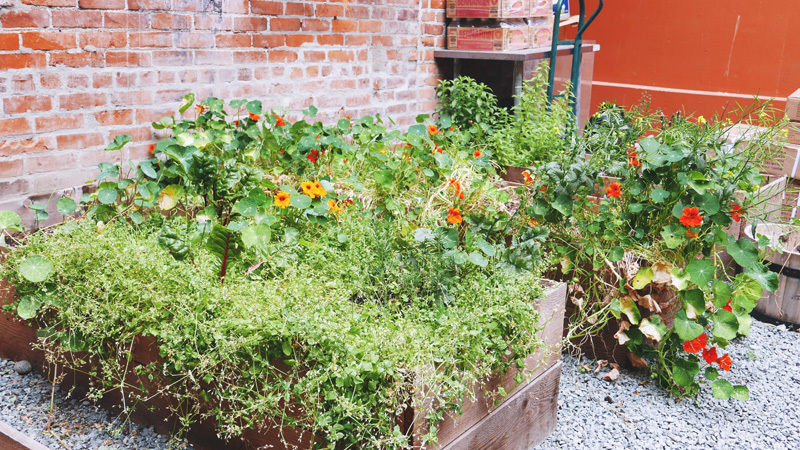 OLO Restaurant Victoria is an urban farm to table eatery in Chinatown at 509 Fisgard Street. 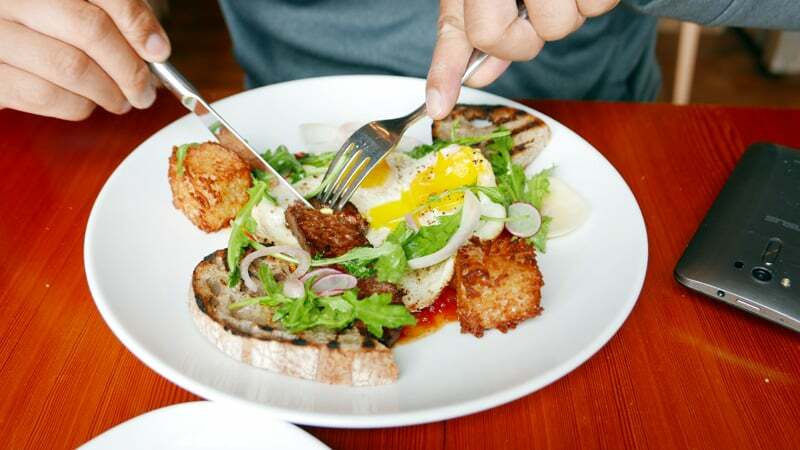 Since the last time we were on Vancouver Island, the award winning Ulla closed and rebranded itself as a chic approachable spot perfect for brunch and late night. Executive Chef & Co-Owner Brand Holmes and Sahara Tamarin continues the same philosophy of sustainability, locally sourced and farm fresh ingredients on to your plates. I love the stylish exposed brick interior, faux wooden posts, and the abstract wood nest chandeliers that frame the restaurant. Canned provisions, wheat grass and cacti warms the entrance. The staff are warm and welcoming. They are genuine and attentive. 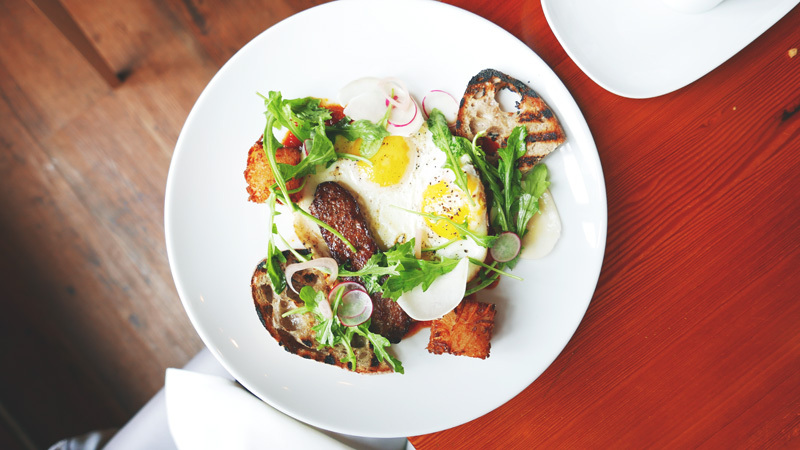 Brunch menu is offered daily (not just on weekends)! Hallelujah! Dinner offers five course tasting menu for $55 per person (vegetarian/vegan option for $45 per person). The menu is concise and thoughtful. Each dish is eye candy with depth of flavors, colors and textures. 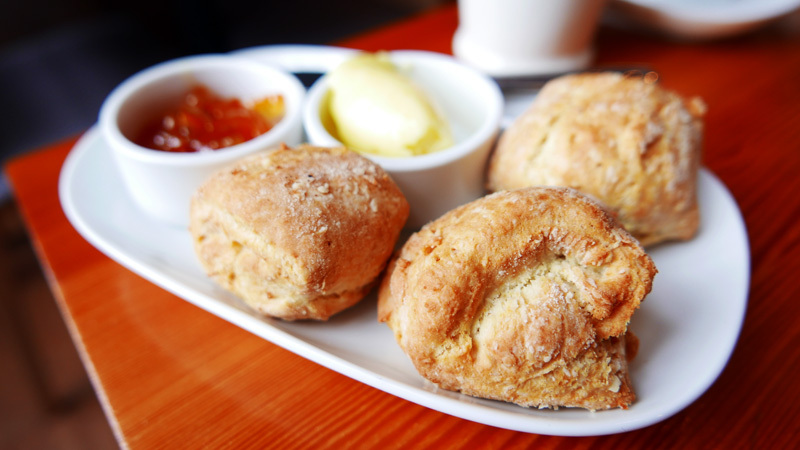 Buttermilk Biscuits 4: We started Sunday morning with these delicious airy, melt in your mouth buttery biscuits. I love that they not very dense with a bit of crunch. Served with cultured butter and seville orange marmalade. 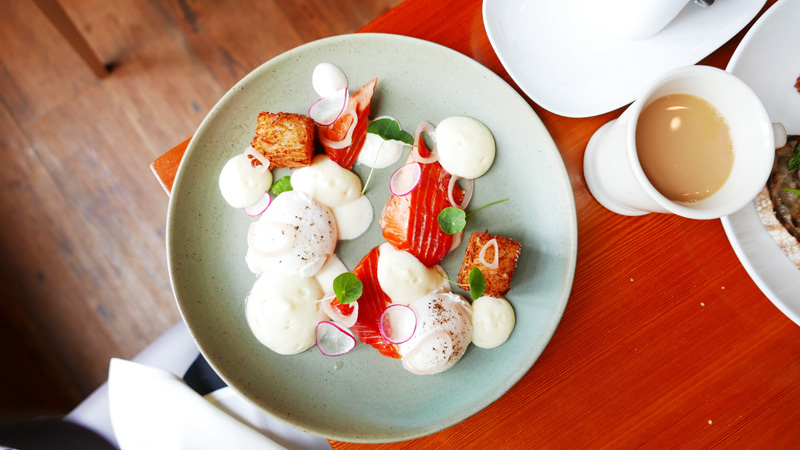 Smoked Wild Salmon 15: poached eggs to your liking (soft golden yolk for me please), crispy roesti (hash browns) with a tender center, pickled onion, yogurt, radish and nasturtium. This is easily the best smoked salmon one could hope for at brunch! 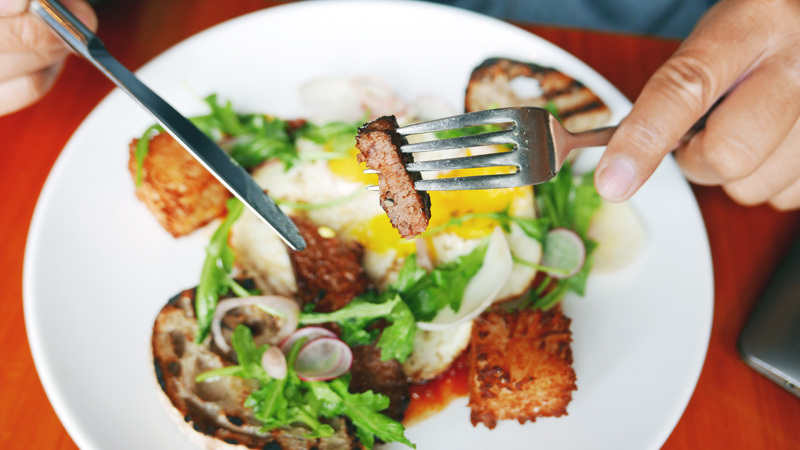 Lamb Sausage and Fried Eggs 14: sunny side up eggs, tomato sauce, seasonal greens, jalapeno, charred sourdough toast. The lamb sausage is hearty and flavorful without being too gamey. A satisfying dish without the 3pm food coma crash. While we waited for dessert to arrival. I took a stroll to OLO’s herb garden in the back. A cute space getting ready for patio and private events. 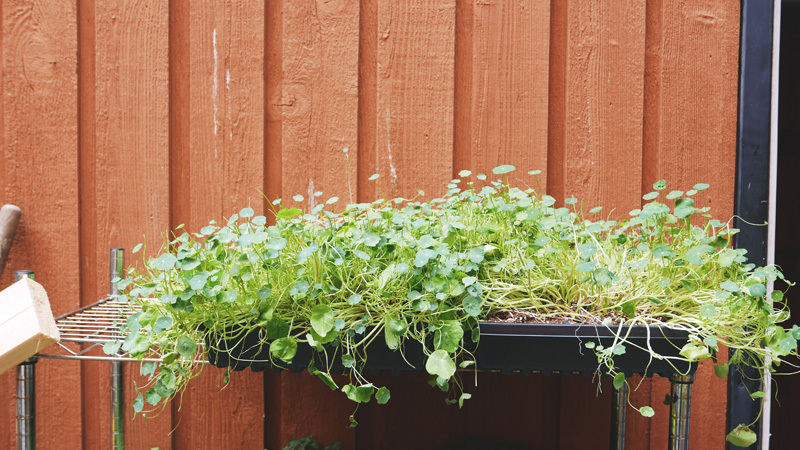 Seeing the abundance of fresh greens makes you appreciate farm to table / garden to table a tad more. I want to grow my own herb garden at home too; but I kill cacti. So scratch that. Souffle Pancake 11: Airy. Pillowy. Soft. Served with honey yogurt with black plum and rhubarb sauce. Tart and not too sweet. Just the way I like it! Not a sweet tooth? No problem! This fried dough of deliciousness also comes with bacon, cheese fondue and green garlic. I could have easily ordered the Honey and Yogurt Panna Cotta with blueberry compote and shortbread too; had we not already reversed space for one last coconut milk iced latte before hitting the ferries! I was invited by OLO Restaurant and Avenue PR for menu tasting.